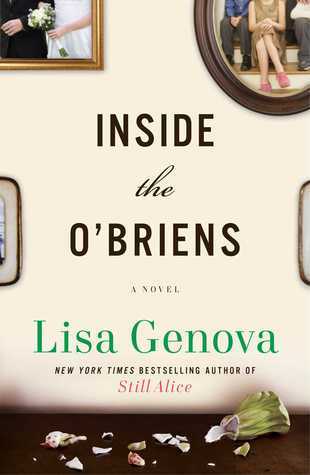 Inside the O’Briens follows an Irish Catholic family living in Boston. Joe O’Brien is a hardworking police officer and father of four children now in their twenties. He married his high school sweetheart and they’ve lived their entire lives in an insular Boston neighborhood. When Joe begins to have odd symptoms like muscle ticks, difficulty concentrating, and flashes of temper, he attributes it to his stressful job. I mean, he’s a cop for heaven’s sake. As the symptoms become more difficult to ignore, he finally agrees to see a doctor and is diagnosed with Huntington’s Disease. It’s a rare degenerative neurological disorder with no treatment, no cure, and a 100% fatality rate. What’s worse is that Huntington’s Disease is genetic, and there’s a 50/50 chance that each of Joe’s four children will inherit the gene and suffer Joe’s fate. Katie O’Brien and her siblings are faced with the decision to find out whether or not they carry this genetic mutation and live with the knowledge. Talk about your impossible situations, right? Sure, it would be a great relief to find out you were gene negative, but if you were gene positive, how would you live your life knowing exactly how it would end? Or, even if you weren’t a genetic carrier, how would you feel knowing that your siblings might not be so lucky? Would it affect your decisions on having your own family? Would you wallow in despair? Become reckless and self destructive? Genova rose to fame with Still Alice (review) in large part because Alzheimer’s Disease is so prevalent, but Huntington’s Disease is every bit as heartbreaking. (Okay, in fairness, Still Alice is an amazing book, so the fact that Alzheimer’s is prevalent isn’t the only reason Genova is famous.) Still though, the journey of the O’Brien family packs a serious emotional punch. I’m not going to tell you that you should read this book, but… You should read this book. If you want to learn more about Huntington’s and perhaps make a donation to help fund research into treatments, visit Lisa Genova’s Readers in Action page. It’s time for you to sound off, Bookworms. If you found out that you might be a carrier for a disease like Huntington’s, would you want to know for sure, or would you rather not find out? I think I need to read this one. The whole dilemma the family goes through sounds horrible and fascinating at the same time in a “what would you do” kind of way. Glad you enjoyed it! It is both horrible and fascinating. You can’t turn away. I think I’d want to know but at the same time would that make me freak out more than is healthy? Probably. Ms Genova is an awesome writer. I read Love Anthony last week (in one sitting) and then found out about her new book. Whether I would find out if I was a carrier would depend on the disease, if there was some preventative action I could take, and whether they could predict a timeframe. So in most cases, I probably wouldn’t want to know. I think it would possibly different for people with or considering children. I haven’t read Love Anthony yet, and I really need to. I think it’s the only book of hers I haven’t read yet. If this is even *half* as good as Still Alice, it’s got to be amazing! Love Lisa Genova! Didn’t read Still Alice but was told by a few that it was a heartbreaking movie with stellar performances. Will have to check out at least one of these two. I haven’t seen the movie yet, but I have a feeling I’ll need a lot of tissues to watch it. I would definitely want to know and then I’d want to have a “Last Holiday” Queen Latifah-style adventure but I’d be screwed because I don’t have a nest egg. Dang. It’s a terribly cute movie, give it a watch if you have the time! Sounds like an interesting, intense read. If there was a chance I might be a carrier, I think I’d want to know if I was younger and thinking about having children. Yeah, I definitely think if kids were in the picture I’d want to find out. 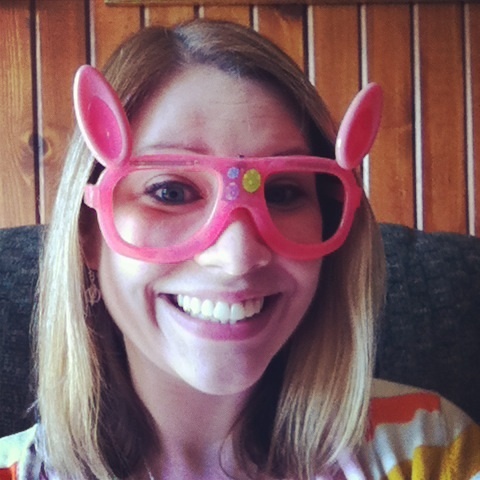 There are options at least to make sure the gene isn’t passed further down the line. Oh, yep. I would definitely find out. I would find out as soon as possible. I’d rather make my decisions from a place of knowledge, and have enough time to set my affairs in order and whatnot. I mean, how could you not know? I definitely would want to know. I think I’d assume the worst if I didn’t know, so knowing could only make things better. This sounds like a great, if tough, read.